My week in Houston was spent on the industrial northern edge of the city, in an area called Greenspoint but often called “Gunspoint” for its reputation for violence. Meals were of the highway frontage road variety, chain restaurants of the family style that for the most part don’t distinguish themselves. Friday afternoon on the way to Hobby Airport, I had the opportunity to try something more memorable: Chapultepec Lupita. Located in a run-down looking, funky former house in Houston’s Fourth Ward, Chapultepec Lupita – “Where the beautiful people meet” according to the menu – is as local as tex-mex is going to get. A friendly staff provided attentive service, although since the place was nearly deserted in the middle of the afternoon, we weren’t competing for attention. Homemade chips and a fiery salsa were an inviting start. Skipping the fajitas – although they are recommended by a lot of review sites – I went for stewed beef, the proper name of which I forgot. The meat was very tender and flavorful, which a rich, spice-infused broth. The accompanying tortillas were fresh and hot. The rice, unfortunately, was bland and not noteworthy. 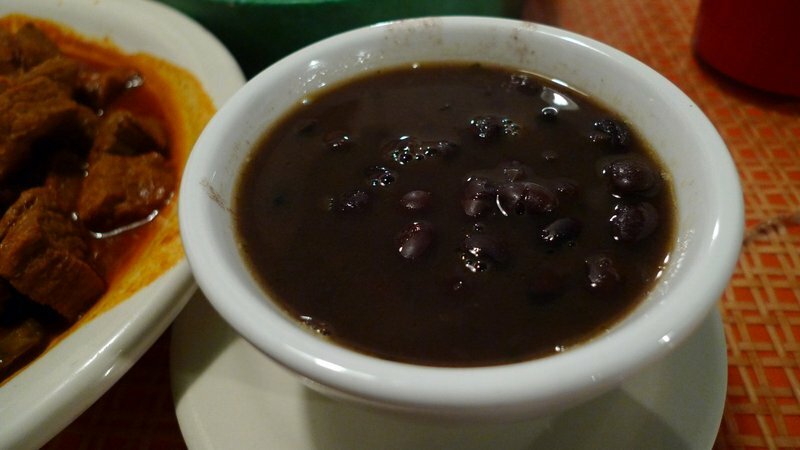 Dishes came with a choice of beans three ways: refried, pinto, or black. I opted for the black beans, which very very tasty. A dollop of sour cream and some chopped peppers and this could have been a soup on its own. 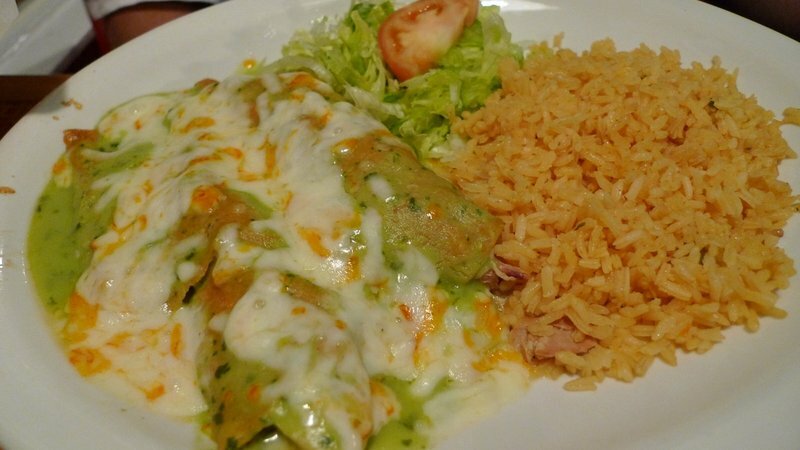 The chicken enchiladas with salsa verde were also very tasty. In the past few years, Bangkok has seen the opening of several “authentic” (so they claim) mexican restaurants, all of which have been a disappointment. There is just something that they don’t seem to be able to recreate in the flavor of the sauces, the tortillas, and the beans. The first person who does will have my eternal gratitude. Until then, there remains one more good reason to return to the United States. This entry was posted in Uncategorized and tagged Chapultepec Lupita, food, Houston, Mexican, Restaurant, TexMex by christao408. Bookmark the permalink. Not bad. Haven’t been to that area at all. Sounds like the place we ate last night – we were the only “gringos” in the place. The food was great and the service OK considering we had to wait for the waitress that spoke English… all in Indiana. Had a chicken enchilada – delicious! Had them substitute the rice with extra refried beans – sooooo creamy – yum. I’m not big on spicy, but I love the flavors of avocado, sour cream, cheese, salsa (mild). yum. It sounds like the same dishes we ordered in Mexico but I get the impression that ours may have been more tasty. It looks more authentic than a lot of “Mexican” dishes served in restaurants in NYC.I’m not sure if the Mexican food in Thailand is more of the Tex-Mex or Cal-Mex variety but I’ve had pretty bad Mexican food in Colombia and Panama so even some “cultural affinity doesn’t help.OK … time to eat the real deal here in Mexico City for the holidays! @TheLatinObserver – Okay, I’m jealous, Rob. Enjoy your time down there! As for BKK style food, I guess it is meant to be Tex-Mex but somehow doesn’t quite come together. I love spicy food so this looks tasty to me – even though it may not “look” appetising. 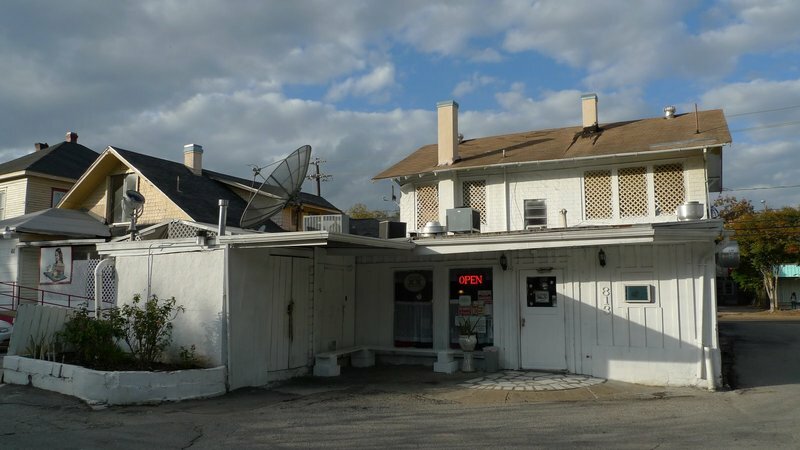 We have a restaurant here called “El Sol” – great food, and reasonably priced. It is owned and operated by a family, and I think they have another restaurant about an hour south of here. The service is great, they are friendly, and they even have a vegetarian menu that is great for my daughter and husband. @christao408 – That’s sad … at least some good Tex-Mex fajitas and some frozen margaritas would be nice in hot weather! Thanks and have happy holidays! I used to lived in Houston (for two years) and worked a few miles from the “Gun-point” mall, lol. I have not heard of this restaurant, but it seemed good experience. Texas mex food is much much than those in California, that I can say. My friends who moved from Texas to California has been complaining to me also, hehe. 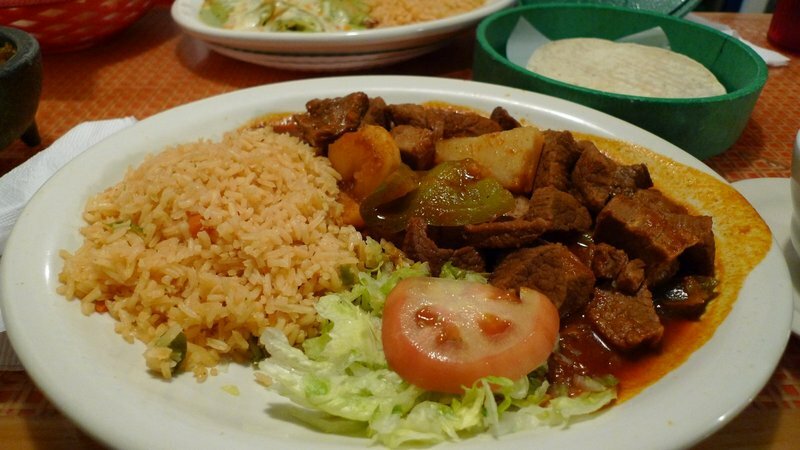 @stevew918 – Steve, I think the food in the taquerias in California is quite good. Not authentic necessarily, but tasty nontheless. Tex-mex has its place, too. There is a newish Mexican place in Bangkok that rec’d good reviews from someone whose opinion I trust, so I’ll try it soon and see if it lives up to the hype. @TheLatinObserver – There’s an American (Texan, in fact) owned BBQ place called the Great American Rib Company that serves the best frozen mango margaritas. That’s all I need on a warm evening! @New_Egyptian – The sun! Actually, there was a small chain called that in Indianapolis that I remember going to a few times when visiting my parents. It was pretty tasty. @stepaside_loser – While their plating is not pretty, the taste makes up for it. (You don’t like spicy food? I’ll have to keep that in mind for when you visit Bangkok! )@Passionflwr86 – Aha, Meg has drooled! My work here is done! =D@Fatcat723 – No doubt the food you had was even tastier, Rob. @everyday_yogi – Who could say “no” to that flavor combination? @brooklyn2028 – Before moving to Thailand I was on a business trip to Mexico City and Guadalajara, working closely with Mexican colleagues. Man, we ate very well! @murisopsis – And as soon as the Gringos left, everyone stopped using the chopsticks and switched back to fork and knife. Oh, wait, that was the Chinese restaurant! =D (A scene from an indie Asian American film I watched once. )@yang1815 – That area is gentrifying nicely, lots and lots of new condos, although it still has its rough edges. @CurryPuffy – And yet more and more of them keep opening. Just noticed a new one last night. What’s up with that? @christao408 – No, No, I like spicy food! damn they look so good. i miss honest good mexican food since i left the states. they never make good ones here in asia, at least not that i know of. @rudyhou – Which is odd because many of the same ingredients are available. I guess there isn’t enough of a market for this although that sounds odd for a city the size of Bangkok. Maybe an upscale place with the right cachet can attract the right clientele. 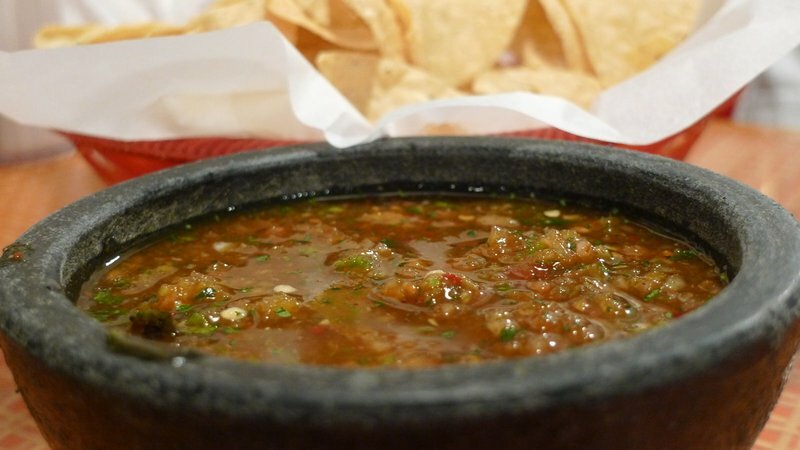 @ElusiveWords – There are many Mexican restaurants here, including several relatively upscale ones. They just don’t produce what I identify with as Mexican, or even Tex-Mex food. same food always taste differently when cooked with different hands.